There are, however, some areas of agreement. For example, we can identify certain factors that put parents at greater risk of maltreating their children. We have known for many years that rates of child maltreatment are higher among people who are economically disadvantaged. This fact is not always discussed, because it is so easy to use it in a way that is class or race biased. Poor people of all races and backgrounds are certainly as capable of being good parents as are their more economically fortunate contemporaries. However poverty, with its missed meals, unpaid bills, and myriad humiliations, causes extreme stress, and stress can lead to acting out in the form of violent behavior, or in the form of substance abuse that lowers inhibitions or heightens emotions in a way that can end in violence. 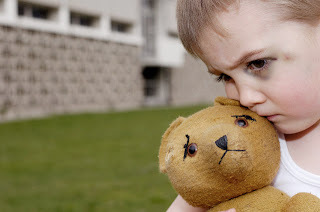 The problem is compounded if the parent was himself or herself abused as a child, since people under stress tend to default to familiar behavior, and what is familiar to an adult who was a maltreated child is physical or emotional violence. This known link between personal and financial stress and family violence led many child welfare experts to fear that the Great Recession and its aftermath would have dire consequences for children, including a likely increase in the number of children maltreated by their caregivers. At first blush, these fears did not appear to be justified. Government statistics from 2010 showed a decline in cases of maltreatment reported to child protection agencies between 2006 and 2009. However recent research shows that this rosy picture may not be accurate, and in fact growing numbers of children may have experienced maltreatment precipitated by the hardships of the recession. Economist Seth Stephens-Davidowitz recently published a piece in The New York Times in which he described a novel method of tracking child maltreatment rates by analyzing anonymous Google searches, and his research seems to indicate higher levels of child maltreatment since the economic downturn, particularly in states hit hardest by the recession. Stephens-Davidowitz was suspicious of the supposed decline in child maltreatment, and his suspicions were heightened by the fact that during the same time period that reports of suspected maltreatment declined, the rate of child fatality due to maltreatment rose sharply in those states hit hardest by the recession. What to make of this discrepancy? Child fatalities are, as Stephens-Davidowitz points out, “less susceptible to reporting pressures,” meaning that when faced with a dead child, doctors and law enforcement officers are not likely to give parental judgment the benefit of the doubt, and will make a report. To measure the true level of child maltreatment, Stephens-Davidowitz analyzed anonymous, aggregate Google searches, examining the numbers of Google searches likely to be made by abuse victims old enough to use a computer, as well as searches likely to be made by persons suspecting abuse or neglect. Looking at the numbers of searches such as “Why did my father beat me?” or “My father hit me,” or simply “child abuse” and “child neglect” revealed that such searches increased significantly after the Great Recession began (after years of declining rates), and rose again in weeks when unemployment claims went up. In fact, states that were hardest hit by the recession had higher levels of searches for “child abuse” or “child neglect” compared to states that were economically better off. Stephens-Davidowitz believes that affected parties and concerned bystanders may turn to the internet for answers rather than looking for concrete help that might not come. Does Stephen-Davidowitz’s method of measurement make sense? I think it does. People increasingly turn to the internet for information and guidance of all sorts: witness the proliferation of self-diagnosis and online support groups in recent years. The internet is quick and easy, and has altered the way many people approach issues of all sorts. I have a friend who maintains that social discourse has been fundamentally changed by internet technology. In the past, he says, people would have a lively discussion about opinions or recollections of facts. Nowadays, the moment there is a factual disagreement, someone whips out a smart phone and googles the answer, curtailing the discussion. Whether or not you think this reliance on fact-checking technology is a good thing, it does seem that many of us are doing it, and it is most likely a window into what concerns us. This is much more than just an interesting research project. If Stephens-Davidowitz is right (as I believe he is), we need to be concerned as a nation that large numbers of maltreated children effectively have no place to turn for help. Aside from compassion for fellow human beings who are suffering, we need to keep in mind that – as Stephens-Davidowitz reminds us – children who have been maltreated are more likely to experience serious problems in adulthood, including mental illness, criminal involvement, and problems in employment or family relationships. These are problems that will not magically go away the instant the economy rebounds. Plus, although the economy is slowly recovering, many of the cuts in education, child health care and child protective services remain. Stephens-Davidowitz’s research shows what perhaps should have been obvious – people will stop reporting child abuse and neglect if there is no one to hear the report and to rescue the child. That maltreatment still exists, however, and if the pattern of ignoring it continues, we will all suffer in the end.